Norwich and Ipswich have been charged by the Football Association with failing to control their players during Sunday’s East Anglian derby. 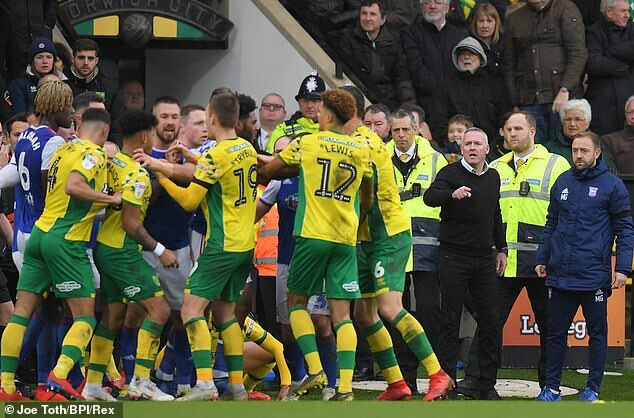 A brawl on the stroke of half-time led to Ipswich manager Paul Lambert, who has also been charged with misconduct, and Norwich’s head of performance Chris Domogalla being sent off. A similar melee also took place towards the final whistle. Lambert had since accused his former club of a ‘lack of class’, and the FA has given until 6pm on Friday for those involved to respond to the charge. 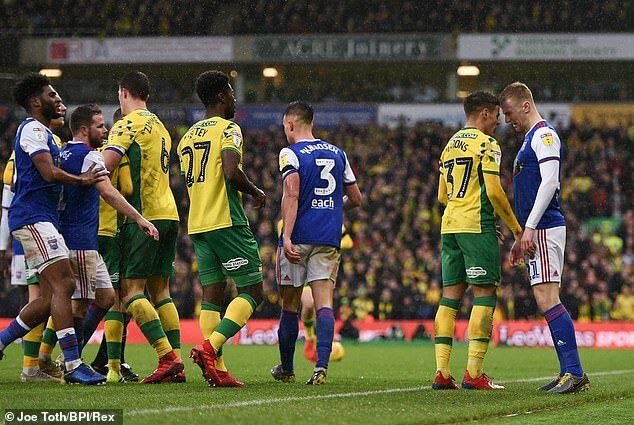 ‘Norwich City and Ipswich Town have been charged following their EFL Championship fixture on Sunday,’ the FA said in a statement. ‘It is alleged that they failed to ensure their players conducted themselves in an orderly fashion during both the 45th and 90th minutes, as well as their officials in the 45th minute. 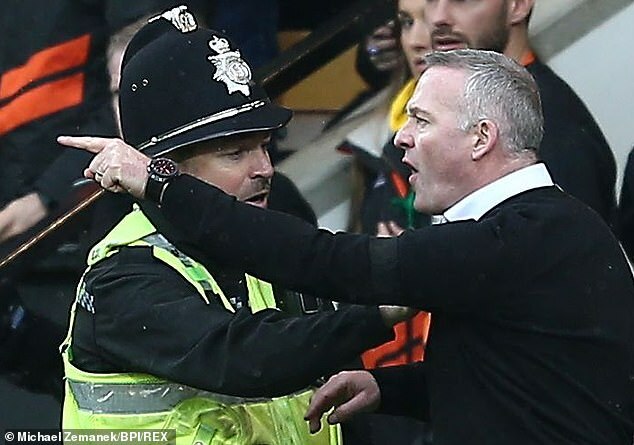 ‘In addition, Paul Lambert has also been charged with misconduct in relation to his behaviour in the 45th minute. Norwich won the Carrow Road fixture 3-0, edging their rivals closer to relegation.